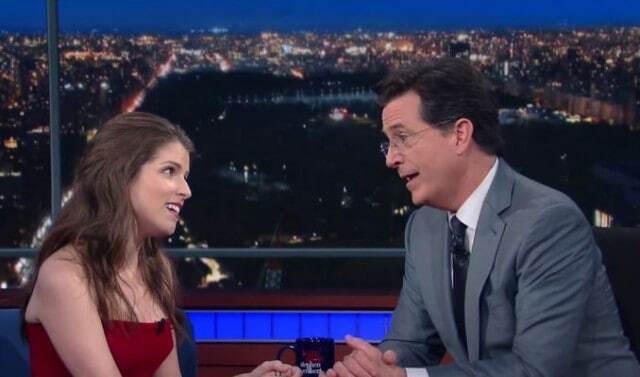 Anna Kendrick stopped by The Late Show With Stephen Colbert last night, even though, as she mentions in the video below, she didn’t have a movie or any type of project to promote. 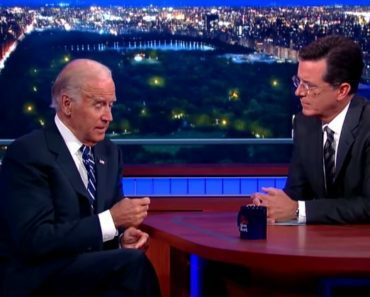 Instead, she and Colbert were able to just talk and have a conversation about whatever they wanted to. 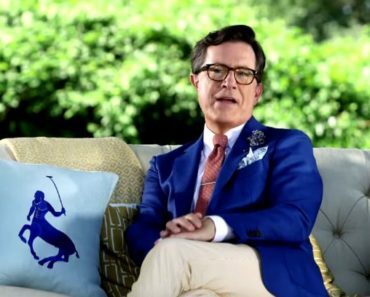 And of course, since this is Stephen Colbert we are dealing with, the two of them discussed two of his favorite things: Lord of the Rings and Broadway. Near the beginning of his interview with Kendrick, Colbert said that he had heard that she was a big Lord of the Rings fan. He was curious how and when she had gotten into the series. Kendrick and Colbert also discussed which characters from Lord of the Rings they would be. Kendrick said that even though she and her best friend would like to be Frodo or Sam, in real life, they are actually “kind of the lazy hungry ones,” making her Pippen and her best friend Merry. 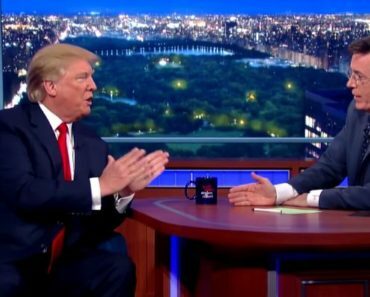 Colbert jokingly said that he would “settle” for Aragorn. But as I said above, their whole conversation wasn’t only about Lord of the Rings. The two of them also discussed Kendrick’s role in the Pitch Perfect films and, before she became famous for her work in movies, her time on Broadway. 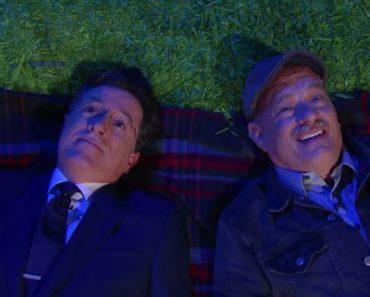 Both Kendrick and Colbert love Broadway so much that the pair even decided to sing a showtune together on The Late Show. 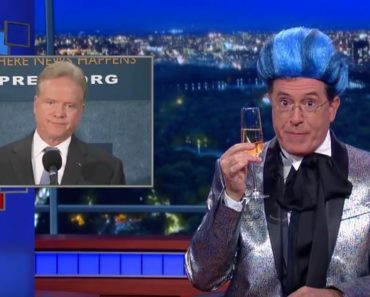 Colbert had the Late Show band play “Falling In Love Is Wonderful” from Annie Get Your Gun, and they both absolutely killed it. A graduate of Saint Joseph's University in Philadelphia, where he majored in English and Film, Chris has been writing for TVOvermind for over four years and has written about several different television shows, such as New Girl, Breaking Bad, Glee, and Homeland. Contact him through Twitter (@ckinger13) or email ([email protected]).